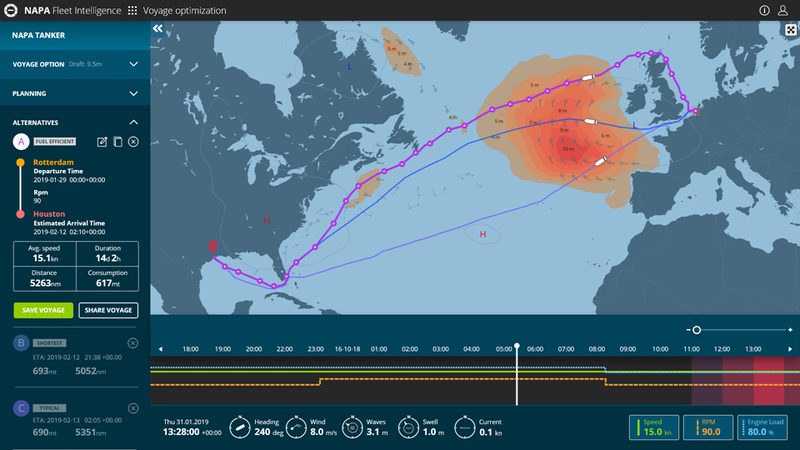 NAPA Voyage Optimization is an easy-to-use solution for improving operational efficiency by optimizing route and speed profiles for any sea passage. 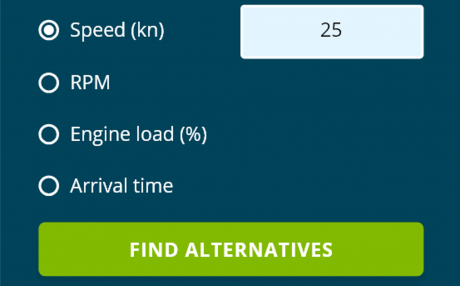 As part of NAPA Fleet Intelligence, NAPA Voyage Optimization runs in your web browser and doesn’t require any hardware installations or initial investment. 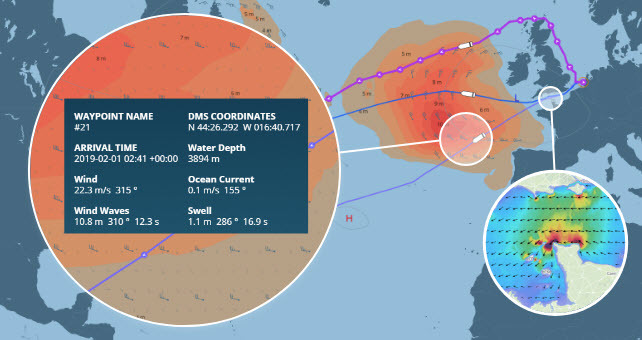 Proposed route is produced using nautical chart material and is usually ECDIS compliant. 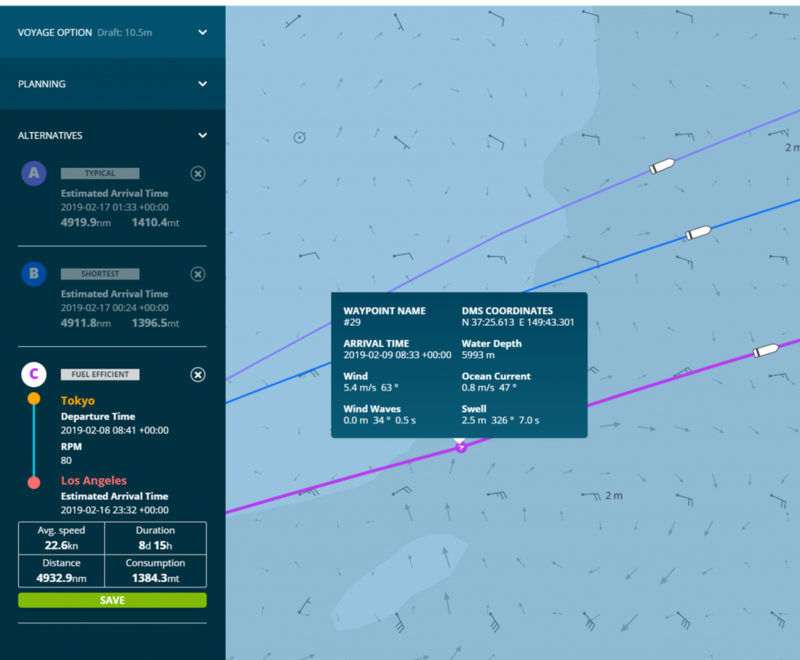 Final verification for safe route will be done onboard with latest ENC materials and Temporary and Preliminary Notices to Mariners. 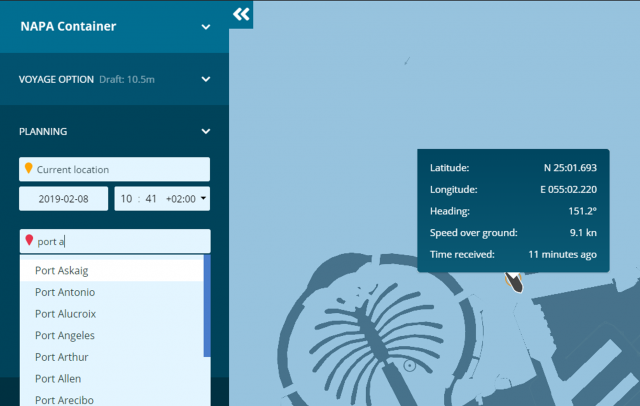 Onboard voyage planning application needing weather routing for the open sea passage of the voyage. 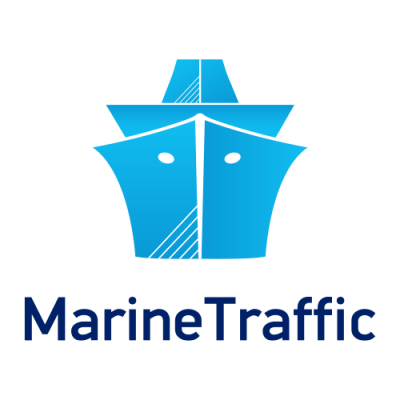 Free access available for academic purposes; for example for evaluating emissions on different ship types and trading routes, evaluating saving potential of different fuel saving devices or saving potential of improving operational efficiency of ports by enhanced scheduling systems. 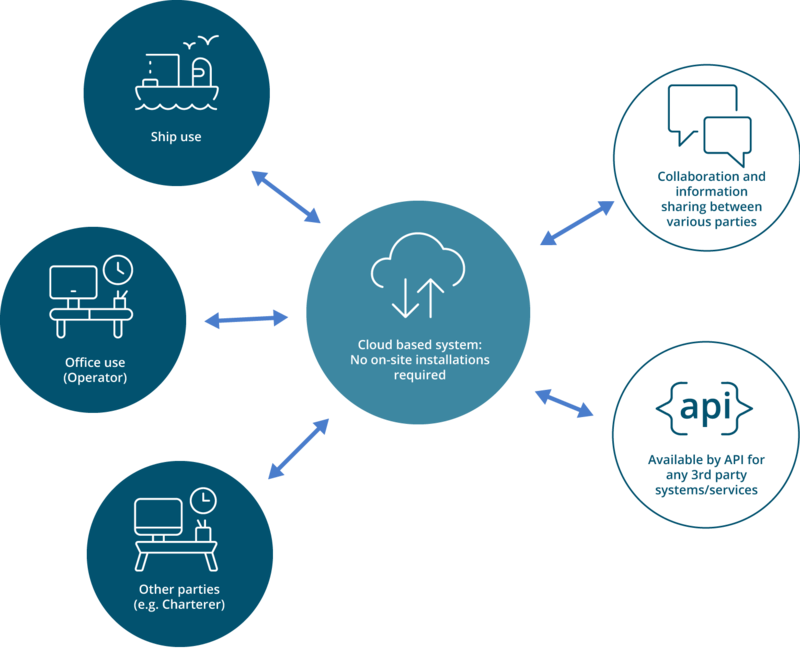 A pioneer and leader in AIS based services, is providing weather routing services for their customers based on NAPA’s ship performance models and optimization algorithms. 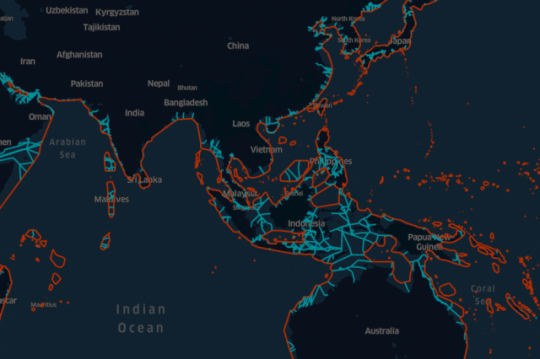 ChartWorld has generated a route network that allows NAPA to safely optimize voyages from port to port. 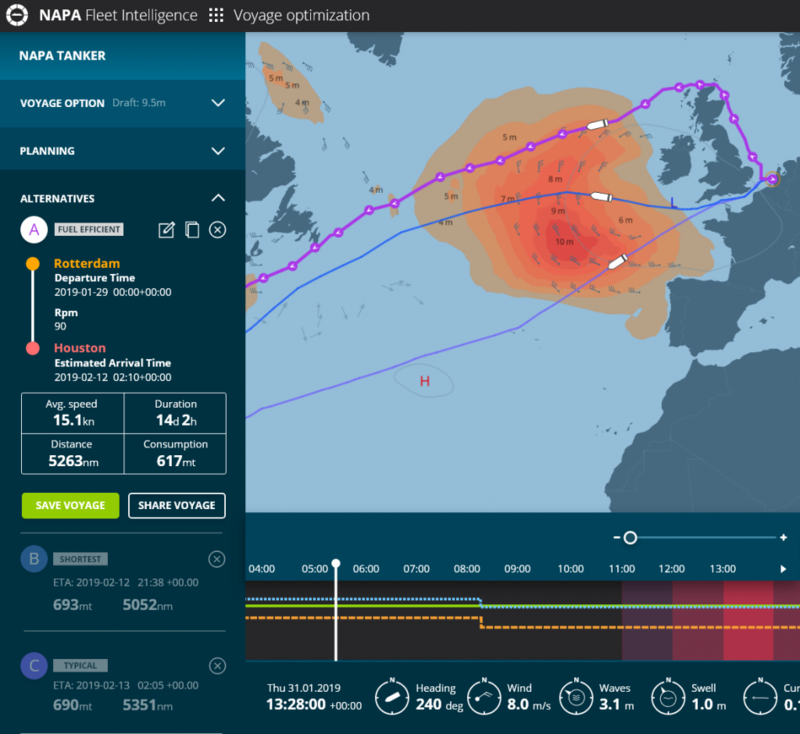 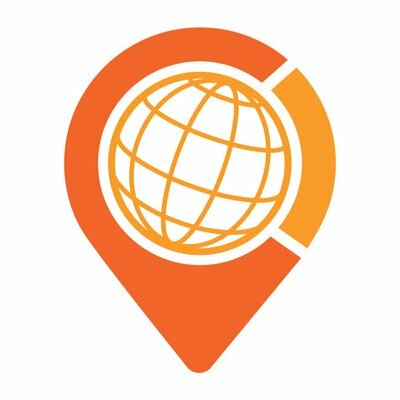 ChartWorld is also embedding NAPA’s ship performance and optimization algorithms inside their onboard tools related to voyage planning.